This is not a forum for discussing conspiracy theories (especially not rambling insane ones). 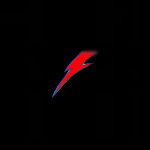 This is a forum for the appreciation of David Bowie and his career(s). Please take your paranoid theories to likely minded conspiracy theorists. Thank you. This forum is supposed to be about Bowie's lyrics. The lyrics are explained in the attached document with fully supported hard evidence. The evidence is NOT mass media propaganda. Evidence is evidence. Hard evidence is in the the attached document. Since you do not provide any evidence, you are a theorist. If you have better explanation of the lyrics then provide your own and people will compare. People will decide which explanation is better. Not you and not anybody else. By all means, I hereby encourage people who're interested to go have a look at your file and judge for themselves.